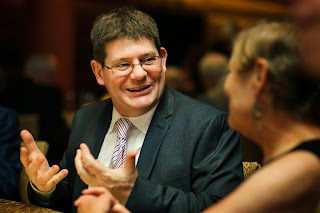 Seattle Opera’s new General Director, Aidan Lang, is getting excited about our production of Tosca, which opens this weekend. 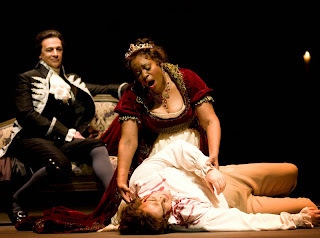 We discussed Tosca with Aidan, who has a long history with this great work. He has much to say about this masterpiece, and most of all he’s eager to find out what Tosca means to you. 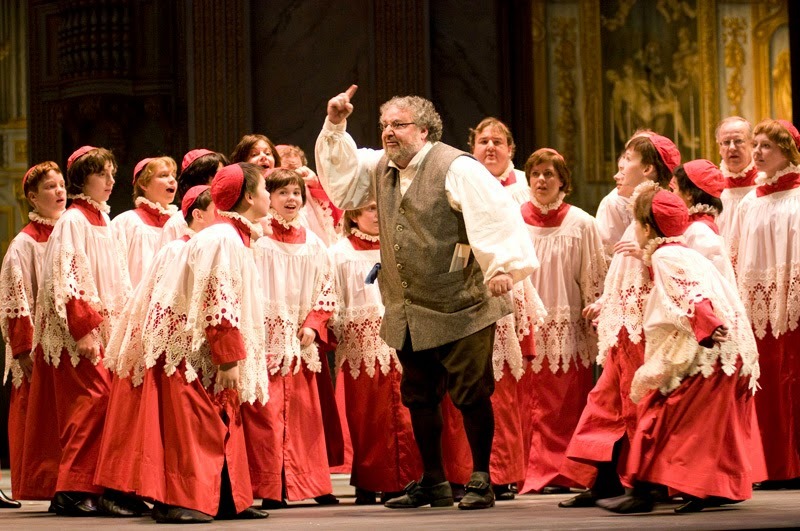 How should opera newbies prepare for Tosca? 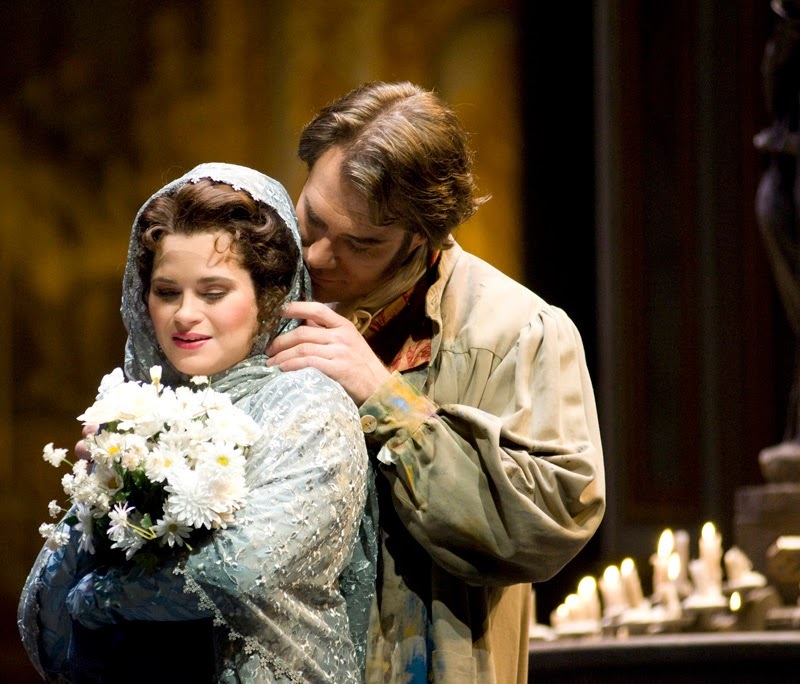 Tosca is one of those operas that you don’t need to do any prep for. I always envy someone who has never seen one of the great operas before, because if you don’t know what’s going to happen, you’re in the privileged position of receiving the full stomach-churning intensity of this piece and enjoying that visceral experience. Tosca is a thriller! When you go into a thriller, watch it on TV or a movie, you know there’s gonna be a body count. Blood and thunder is so integral to the experience of this piece. And it’s plot-driven and very clear what is happening. Tosca is fundamentally a play which has been set to music, and just as you wouldn’t prep for a play, you don’t really need to prep for this. It’s not like getting to know the text of one of the Wagner operas, which will enhance your understanding. 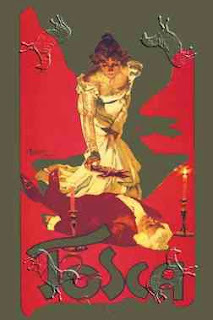 Is it fair to call Tosca a melodrama? Yes, that’s the appeal of Sardou’s play, Puccini’s source for the story. It’s an opera waiting to be written, really. Melodrama was one of the theatrical forms of the time; 19th century melodrama means theatrical action described by music. Plays had music playing consistently. You would act to music, which is what happens here. And it’s very strong stuff. The beauty of this opera is all the protagonists are just thrown into this nightmare. That’s the awful, gripping part of it: how events can spiral out of control. You could innocently arrive as a visitor to a country with a brutal political regime and find yourself swallowed up. 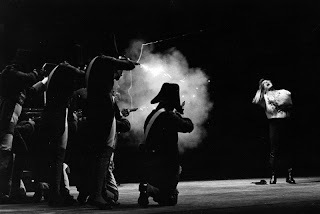 All Cavaradossi does wrong is to hide a political prisoner. And Tosca is simply sucked down into this nightmare. That’s the fascination, the horror of the thing: how normal people find themselves embroiled in events over which they have no control. And there’s no escape. The audience knows that—you understand, there will not be a happy ending here. I don’t think describes it. Madama Butterfly is the closest Puccini came to writing tragedy. Butterfly’s death comes about because of something more profound: her understanding of the hopelessness of her situation. Her death has an almost symbolic nature, a mini-emblem for Japanese society. Whereas Tosca’s death is locked firmly into the events of this plot. Power. But keep in mind, he’s there to do a job. 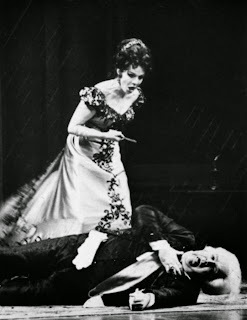 Let’s differentiate how he deals with Cavaradossi from how he deals with Tosca. With Cavaradossi he is carrying out the law. Of course, today we look back with horror at the cruelty of a world where torture is perfectly legal. But if you were to ask Scarpia, he’d say he’s just trying to do his job. He needs information in order to catch Angelotti, and the law provides for torture, so he’s doing what’s necessary. Of course he manipulates his authority and power to fulfill his lust for Tosca. He abuses power for his own ends, and I think what he’s lost is the moral compass which differentiates between pushing the boundaries of the law to achieve his ends and a willful disregard for other people’s rights in pursuing his individual lust. But it’s very true to life. Are there people in this world who would manipulate power? Absolutely, we see it all the time. What makes a soprano a great Tosca? You need a singer with a blazing intensity, both musically and dramatically. You need a voice which is very flexible, able to do both drama and musical elegance. 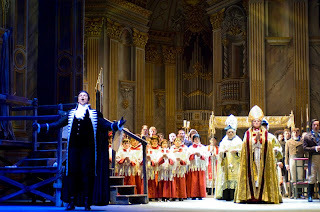 At the same time, a great Tosca needs humility before God. The clearest motivating fact for Tosca is her devout Catholicism. She’s aware that God is forgiving, and maybe she manipulates that to a certain extent. But she’s fundamentally a very simple person who suddenly finds herself in the spotlight. And completely out of her depth when confronted with a monster like Scarpia. So you need a very subtle actress! Were it not for Scarpia, would Cavaradossi and Tosca have ended up married and settled down? They have a stormy relationship. He might get a bit fed up with her schoolgirl-like jealousy. I’m not sure it’s a marriage made in heaven, really. 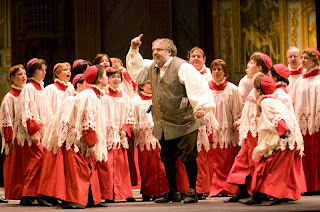 What’s the trick to directing Tosca? It’s an example of what I call the sugar-and-honey principle. That is, if you put sugar in your tea, you don’t also put honey. The danger with this sort of opera is that you over-egg the pudding. The intense emotion is already there; and if you allow the performers to exaggerate that passion, that emotion, you get something which is a bit too much. It’s actually why some people say they don’t like Puccini: they find it too emotional. I’m always puzzled by that. How could anyone not like such well-written pieces? But if there’s this surfeit of emotion musically, and then it gets duplicated in the acting, it becomes almost unbelievable. So the trick is to pull back the acting a bit, which allows the emotion in the music to speak, and then just find key moments when you turn it up. Take Scarpia, for example. You can play this character in a very detached and laconic way, as if he’s so almost amused by the power he has, and it’s actually very easy, that this is almost a routine day for him. And just finding the odd moment when he lets his guard down and really lets his savagery come out. You get something which is actually far more sinister than someone who goes at it 100% from the first moment to the last. 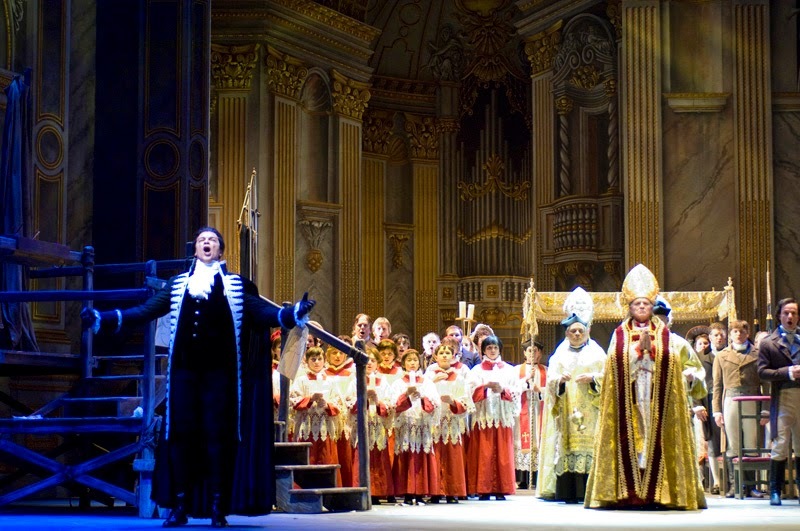 What kind of production does justice to Tosca? In recent years I’ve seen more productions set in Mussolini’s Fascist time than I’ve seen productions set in 1800! This opera updates very well. But because Tosca is driven by its plot—and that’s great—it doesn’t really work to attempt a radical deconstruction of the piece, that is, taking the emotions and thought patterns to a more universal plane. We’re using a very historic set, which will give us a glimpse of how theater looked in the early 1960s. With a sense of history on the stage it will enhance the historic background to the opera. The brilliant paint-work of our scenery, by the Italian school of Ercole Sormani, will give us a real sense of accurate place, which funnily enough sometimes you can get better by painting it than attempting to recreate it three-dimensionally. This way, you understand the monumentality of the church in Act One, but once you’ve taken it in, you focus back on the performers. Discuss Tosca in person with Seattle Opera and the artists at our post-show talk backs, held in the Allen Room after every performance. Photo of Aidan Lang, at top, by Brandon Patoc. This interview was also published as a podcast, which can be downloaded from Seattle Opera's SoundCloud account.